In a low ball glass combine the above ingredients. Cucumber is a must!!! 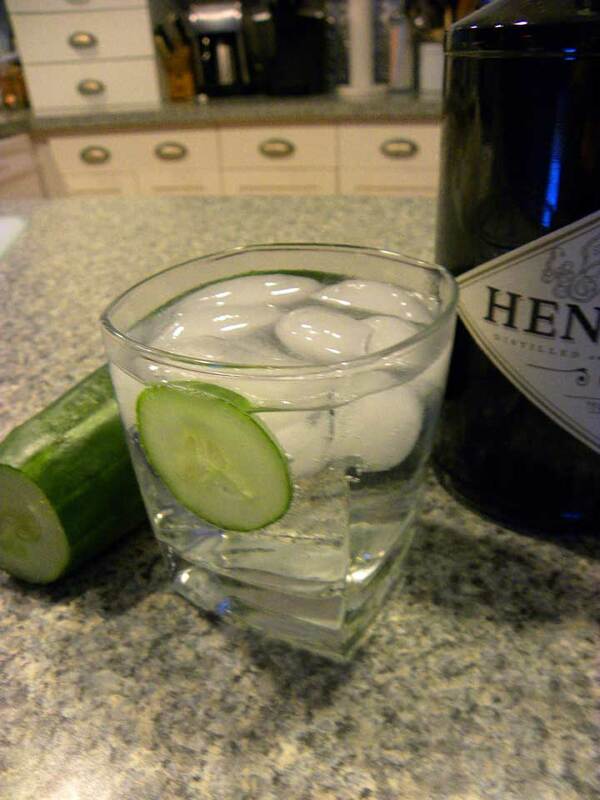 Do not ruin this drink with lime, as I was doing before a friend suggested the cucumber. Fantastic photograph. Hendrick's is a liquor unto itself. Great choice, and the garnish is very apropos. Delightful! This simple cocktail is BAR NONE.